These are Lacy nails. First I painted my nails with dark pink and with the help of ear bud and nail polish remover I took off the polish from the nails accordingly as you can see in the photo. Then with the help of tooth pick created white lacy design and sealed off the nails with top coat. Holiday season is already started and everyone is busy with their family, shopping for gifts and planning for something to do together. 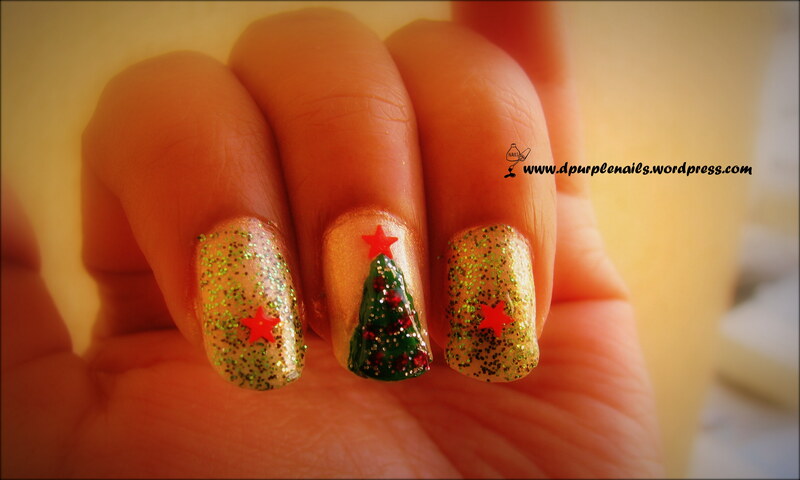 For this Christmas I came up with this Christmas tee nails. I am sure everyone wants to do something or the other to show their holiday spirit. For those who are looking for something different on their nails, this is suitable. First I painted my nails with cream color polish, then drew a triangle on the middle finger with Green polish to make it look like a Christmas tree. Then I added little silver glitters and red dots on the triangle and pasted a star on triangle. For other nails I used green glittery transparent polish. It is up to you, if you want to paint all your nails with tree you can also do that. 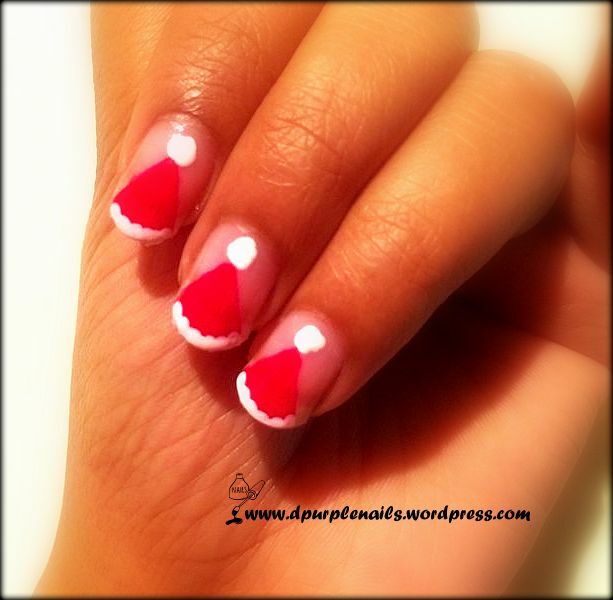 These are Santa Hat nails, suitable for Holiday season. Here I have used only 2 colors for this design. First make a triangle by using red polish ( I have used cello tape to cover my nails to get a perfect triangle ) then take dotting tool and add a big dot on top of the triangle and decorate the base with small white dots. 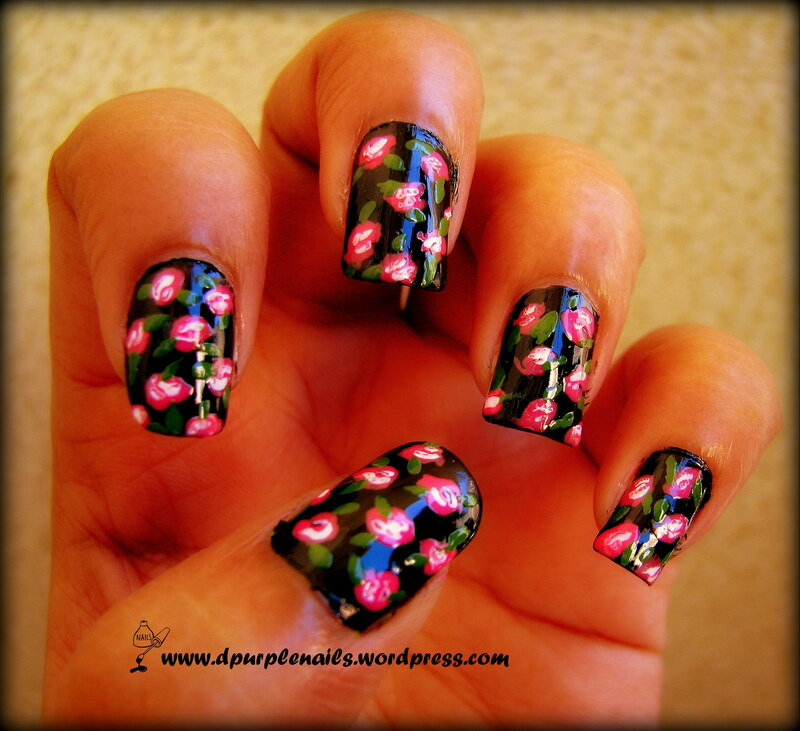 Make sure that your nails are round shaped before you start this nail art. Is aw this tutorial in You Tube by Cute polish. Its pretty and adorable design, very easy to recreate.